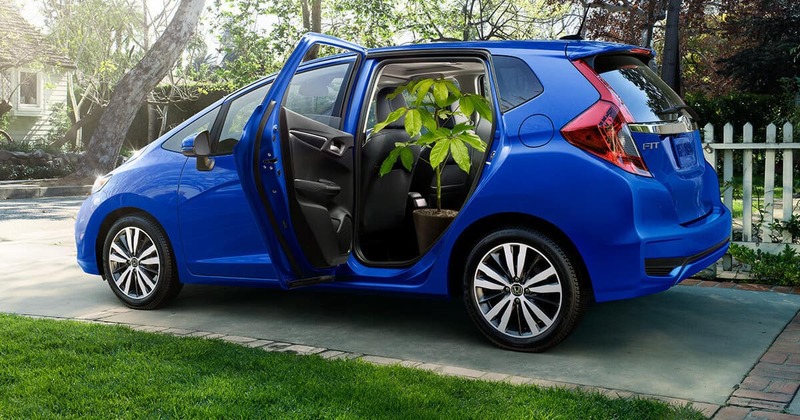 If you’re hunting for hatchbacks with the most cargo space, you’ll probably look at a number of options, but you should know that more and more people are won over by the cargo space found inside the 2018 Honda Fit. It’s no surprise that a subcompact car can achieve great fuel economy (an EPA-estimated 36 mpg combined on Fit LX CVT models*), but what has been impressing West Michigan drivers is the amount of cargo space the Fit provides. With more cargo volume than a Ford Fiesta S or a Toyota Yaris 5-Door, you’ll find the Fit’s 16.6 cubic feet of cargo volume enough for just about anything you want to do. 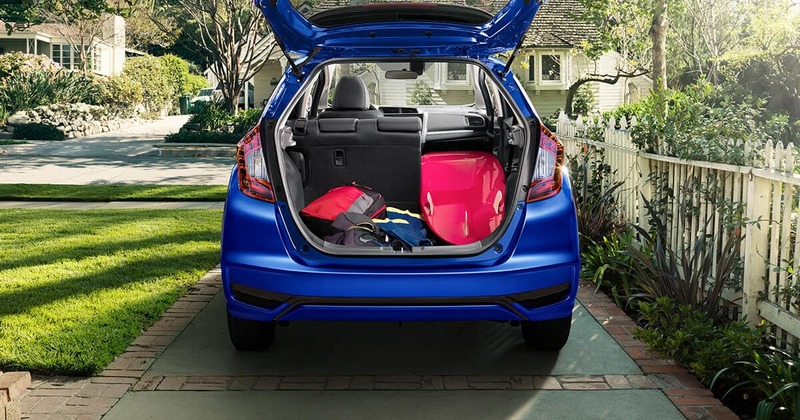 Whether you’ve got a family or a band, or you love to explore the outdoors with friends, the Fit has 52.7 cubic feet of maximum cargo volume, more than 2018 Chevy Sonic LT’s 47.7 cubic feet and more than double the 25.4 cubic feet of the Fiesta S.
The Fit doesn’t disappoint in passenger comfort, either, with more passenger volume than the Fiesta S, the Sonic LT, and the Toyota Yaris 5-Door. So while the Fit maintains its small size on the outside, drivers and passengers will never feel cramped on the inside. Subcompact cars are a great option for drivers needing an affordable vehicle that’s comfortable and economical. Comfort and economy are great, but without reasonable cargo space, a subcompact car can prove challenging. However, the Fit provides an option for discerning buyers who don’t want to make sacrifices in cargo space to achieve great economy. Contact your West Michigan Honda Dealer today to test drive the 2018 Honda Fit. 0 comment(s) so far on Is the 2018 Honda Fit the Hatchback with the Most Cargo Space?